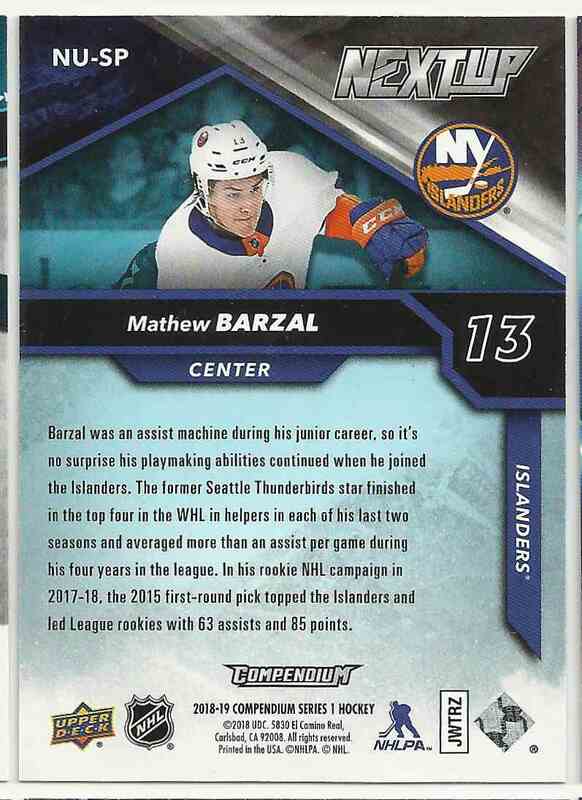 This is a Hockey trading card of Mathew Barzal, New York Islanders. 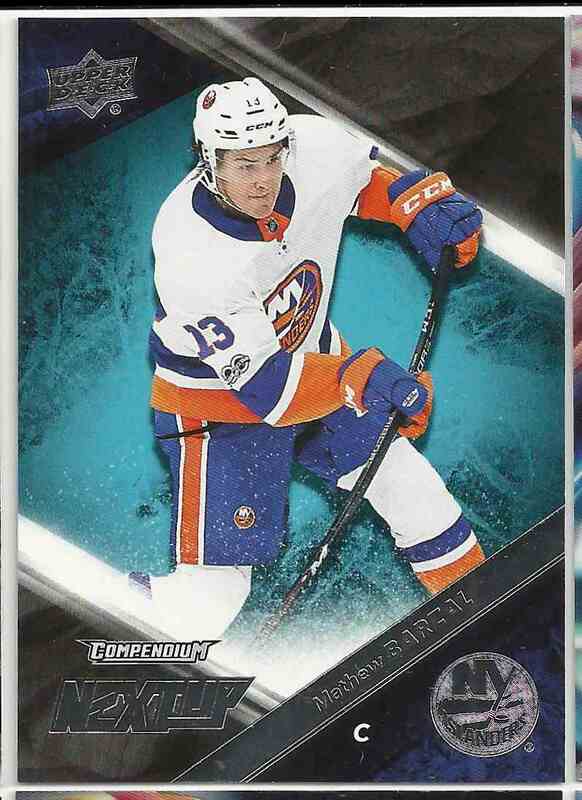 It comes from the 2018-19 Upper Deck Compendium Next Up set, card number NU-SP. It is for sale at a price of $ 10.00.